All parents want to be aware of when their baby needs their attention. But those with hearing difficulties can't always identify the cries of their baby from another room. 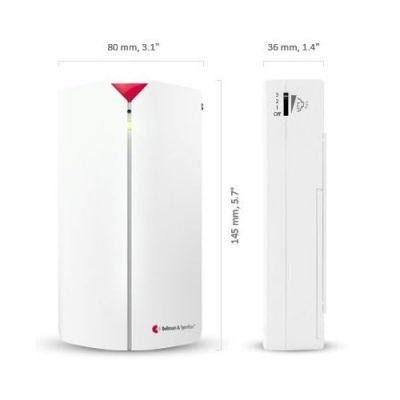 This is where the Bellman Visit Baby Cry Transmitter comes in, connecting you to your child through radio signals that ensure you're never too far away. Helping to create a safe and happy household, you will always know when your baby needs you. How Does the Bellman Baby Cry Transmitter Work? The device uses radio transmitters and receivers to alert you to the cries of your child. The Baby Cry Transmitter detects the sound of crying and makes you aware of this through a light, sound or vibration signal sent to your receiver. 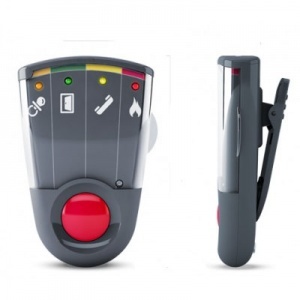 It picks up the sound through a built-in microphone and the sensitivity can be controlled, ensuring that the transmitter is not triggered unnecessarily. Tailored to detect specifically the sound of crying, this Bellman Visit Transmitter is an ideal baby monitor for parents who are hard of hearing. The transmitter should be placed around 0.5 - 2m away from the child so that they cannot reach it. This product is suitable for indoor use only.